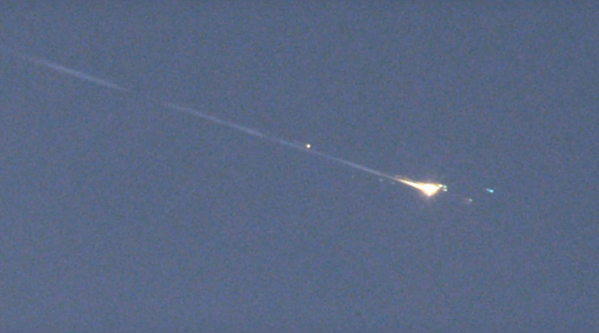 An object (probably space junk) discovered on October 3, 2015 by the Catalina Sky Survey and designated WT1190F will enter the Earth's atmosphere on 13 November 2015, making it one of the very few space impacting object observed prior to atmospheric entry (see old posts about asteroids 2008 TC3 & 2014 AA). 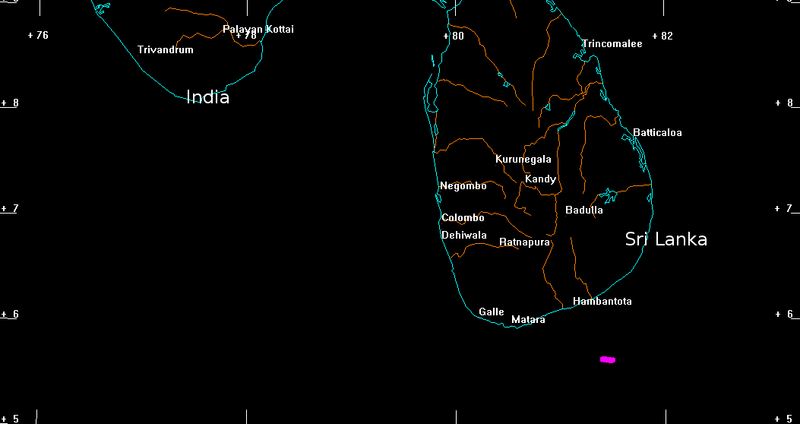 This object will re-enter Earth's atmosphere in a few hours, around 06:20 UT on 13 November 2015 about 100 km off the southern coast of Sri Lanka (at 11:50am local time). 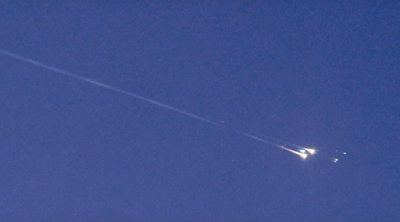 It is quite small, probably about one or two meters across and so it is expected that most or all of WT1190F will burn up in the atmosphere before impacting, but will be possibly visible as a bright daytime fireball. 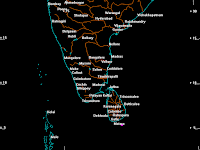 Click on the images below to see the impact location. 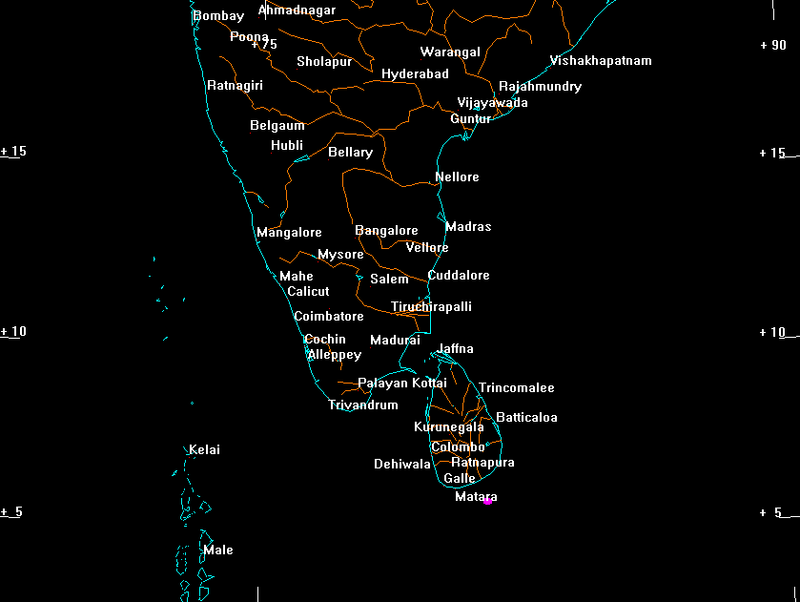 The magenta blob off the south coast of Sri Lanka is the nominally predicted impact area. According to Bill Gray: "nominally predicted impact area is the area within which we'd expect it to hit, assuming the object doesn't move in unexpected ways. Small objects such as this are pushed around a bit by sunlight. So I won't be surprised if it lands a couple of kilometers outside the predicted region". 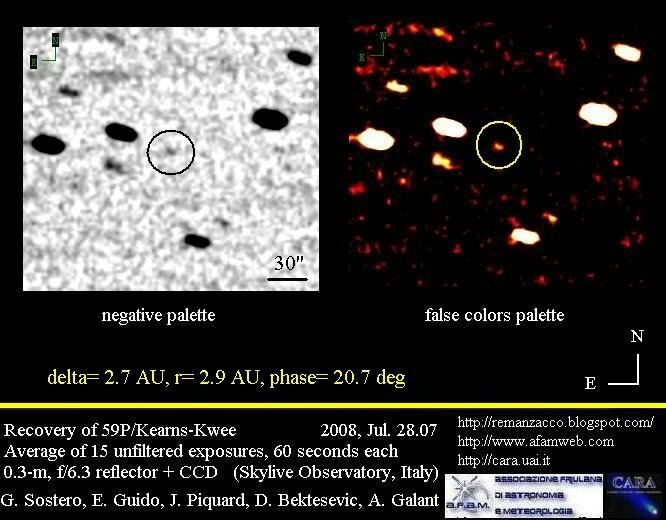 After collecting more observations and unearthing 2012 and 2013 obs from telescope archives, it has been possible to conclude that WT1190F is most probably a piece of discarded space junk. 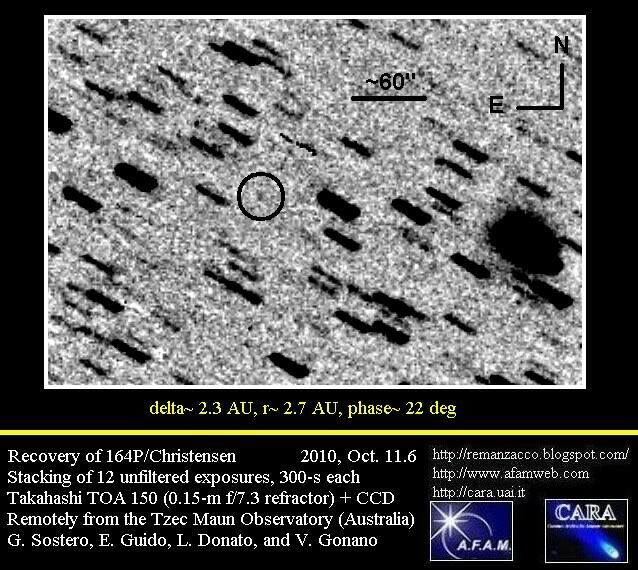 In fact WT1190 interacts with solar radiation pressure in a way that suggests it has low density (space junk is a lot lighter than a rock. It's so light that even sunlight can exert a very gentle push on it). 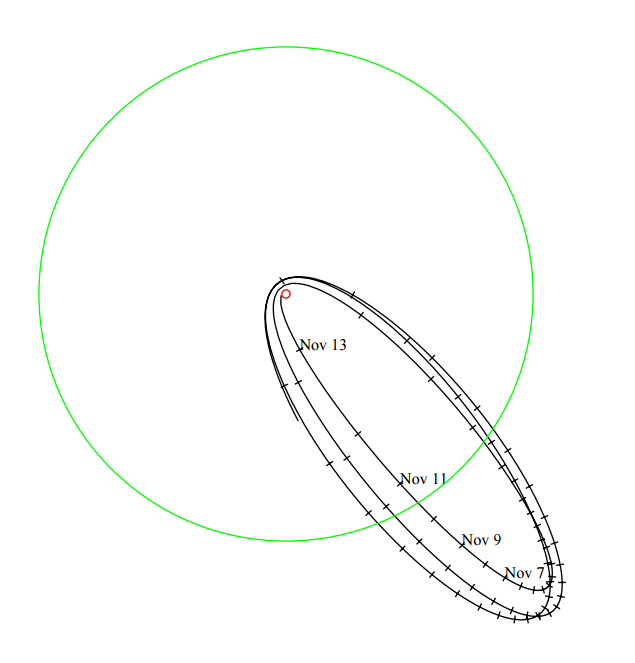 Moreover it is in a very unusual and elongated orbit (eccentricity 0.96) taking it to within one Earth radius of the surface of the Earth at perigee but 1.65 Lunar Distances at apogee. It could be a spent rocket stage or panelling shed by a recent Moon mission. 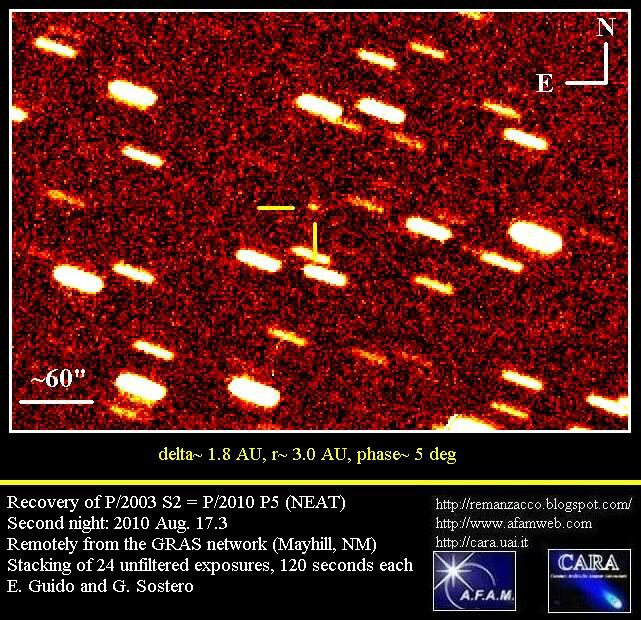 It is also possible that the debris dates back decades, perhaps even to the Apollo era. 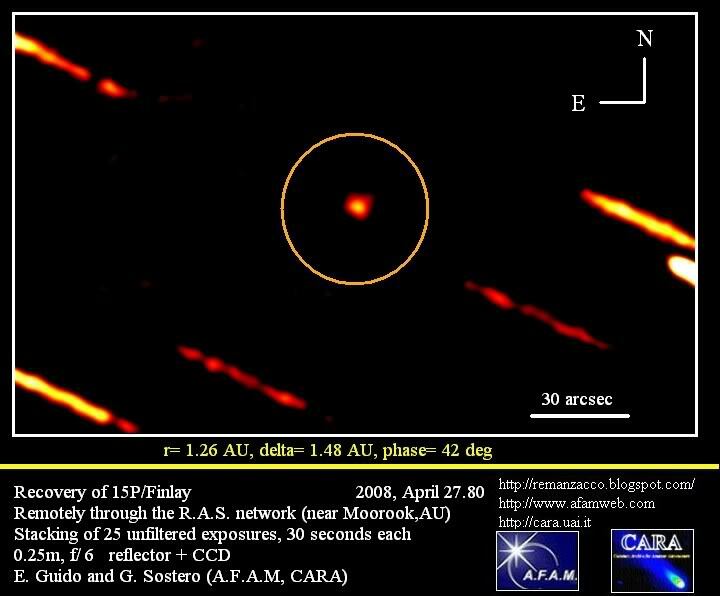 Below a plot of the last three orbits of WT1190F. The small red circle is the earth. The big green circle is the orbit of the moon, just to give some scale to the chart (click on it for a bigger version). 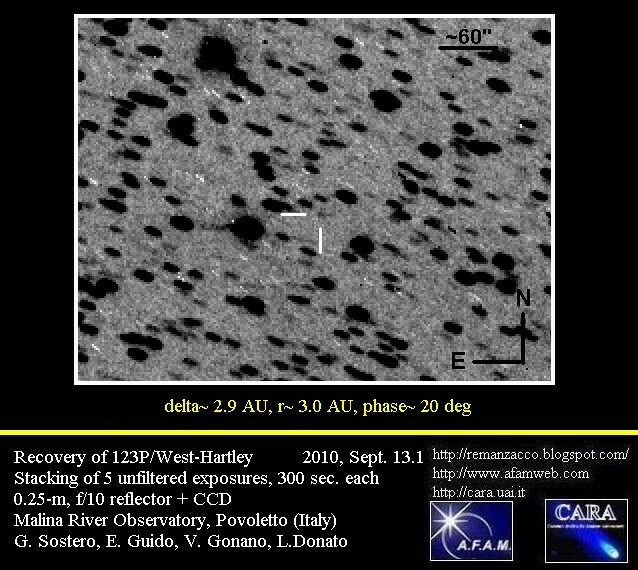 For more detailed info about the nature, size & history of this object please check the webpage maintained by Bill Gray at Project Pluto. 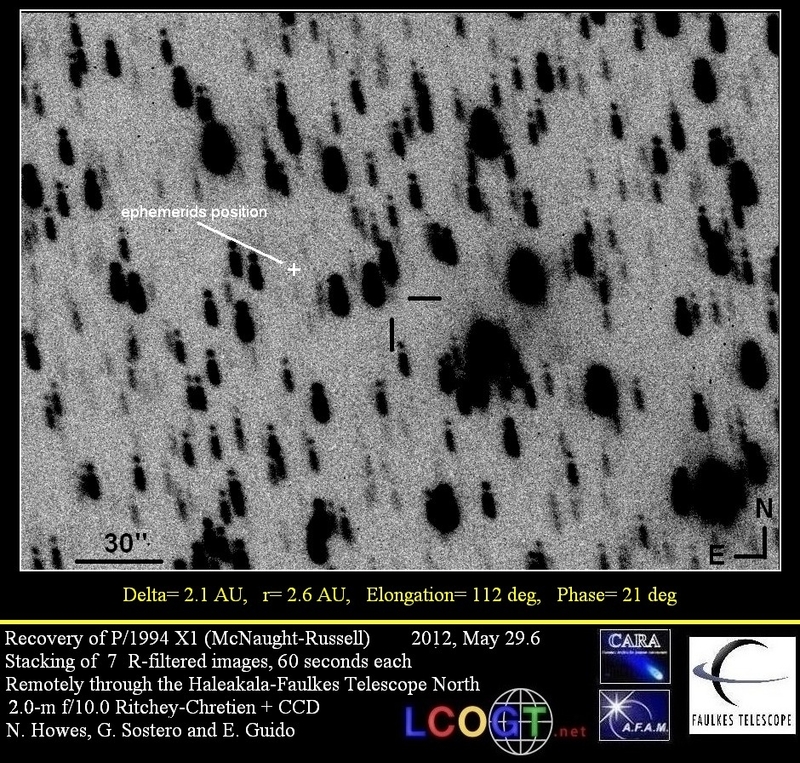 Astrometry obtained just before impact will help to pin down the trajectory and the impact location. 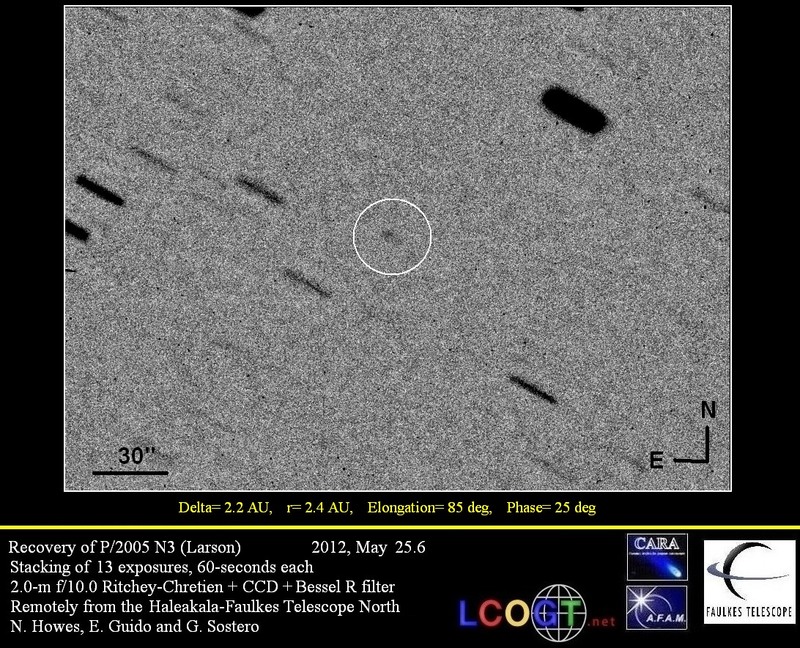 So, I performed follow-up measurements of this object, about 22 hours before it entering Earth's atmosphere. Below you can see the image showing WT1190F at magnitude ~18.5, stacking of 30 unfiltered exposures, 30-sec each, obtained remotely on 2015, November 12.4 from H06 (iTelescope network - New Mexico) through a 0.43-m f/6.8 astrograph + CCD + f/4.5 focal reducer. Click on the image below for a bigger version. First images of WT1190F reentry are available!! 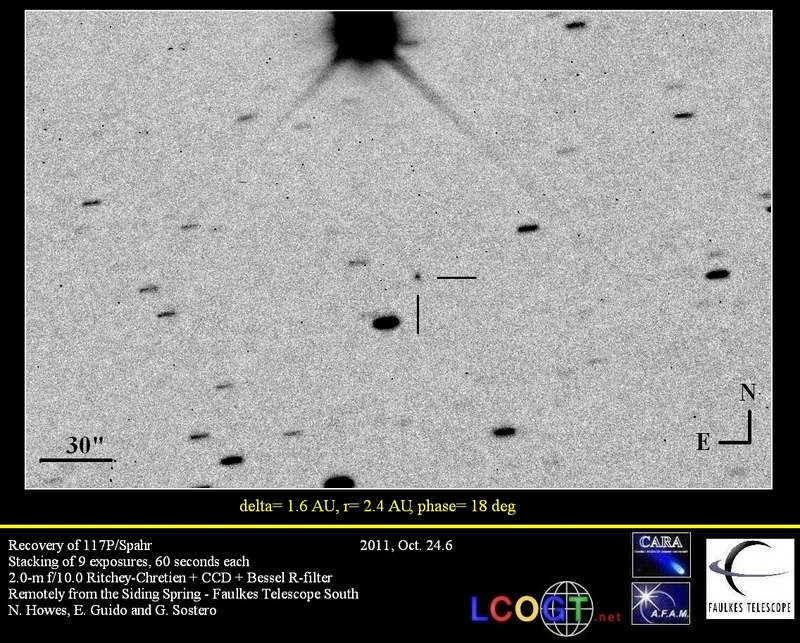 Images obtained by a team of researchers under the consortium "Rapid Response to a next TC3 asteroid impact". 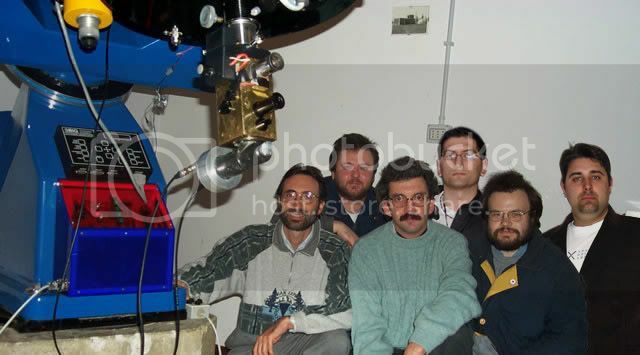 They were observing the event from an airborne sponsored by United Arab Emirates Space Agency & the International Astronomical Center (IAC) in Abu Dhabi. CBET nr. 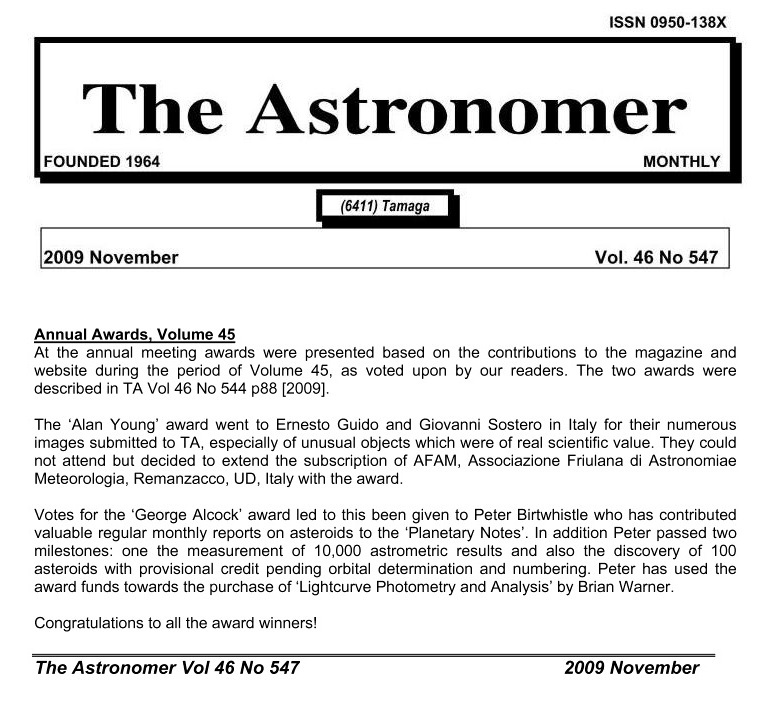 4161, issued on 2015, November 05, announces the discovery of a comet (magnitude ~17.1) by J. A. Johnson on CCD images obtained with the Catalina Sky Survey's 0.68-m Schmidt telescope on Nov. 3.5 UT. 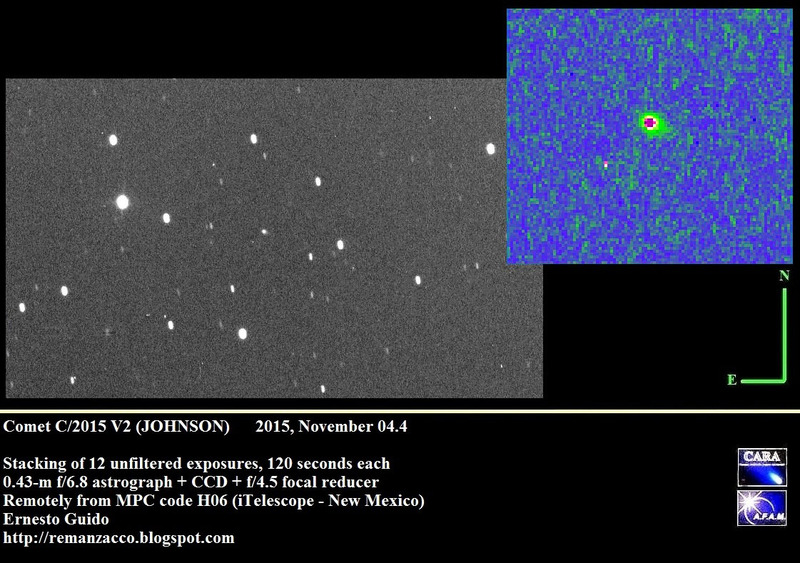 The new comet has been designated C/2015 V2 (JOHNSON). 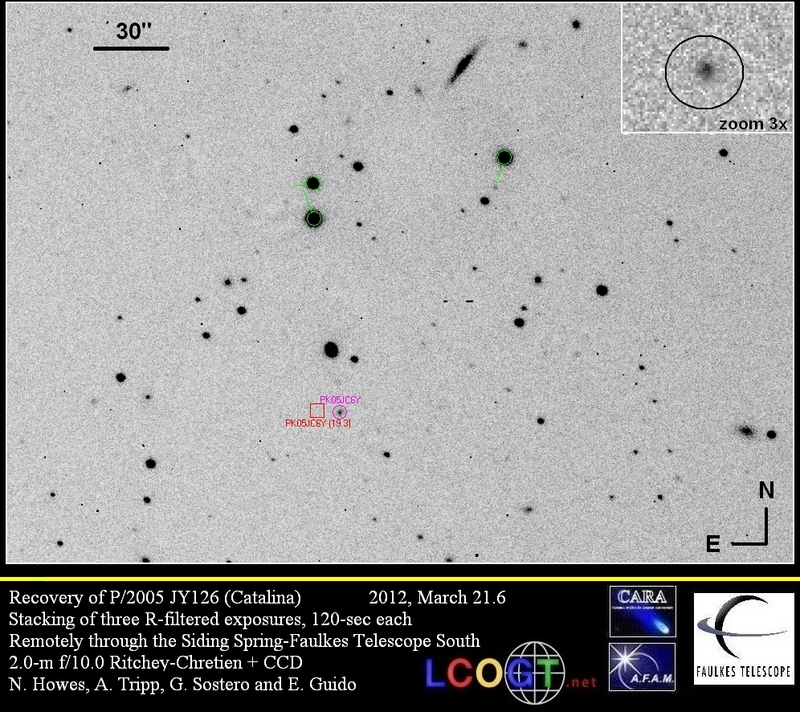 I performed follow-up measurements of this object, while it was still on the neocp. Stacking of 12 unfiltered exposures, 120 seconds each, obtained remotely on 2015, November 04.4 from H06 (iTelescope network - New Mexico) through a 0.43-m f/6.8 astrograph + CCD + f/4.5 focal reducer, shows that this object is a comet: compact coma nearly 10 arcsec in diameter elongated toward PA 230. Below you can see a graph generated using the software Orbitas and showing the C/2015 V2 predicted magnitude (in red) versus its elongation from the Sun. Click on the image for a bigger version. (A word of caution: as always with comets, the future magnitudes reported here are only indicative and based on a very preliminary orbit).